EghtesadOnline: As it strives to relegate the phenomenon of shadow banks to history, the Central Bank of Iran has orchestrated a merger of two such banks into a legitimate one in order to wipe away the last traces of that rogue industry. According to Farshad Heydari, CBI’s deputy for supervision who addressed a news conference on Monday, the measure involves the acquisition of two unlicensed financial entities–Mehr Eqtesad Bank and Samen Credit Institution by Ansar Bank. Although CBI had resorted to mergers and acquisitions in the past to bail out the victims of some bankrupt illegal credit institutions, Monday’s announcement is the first major regulatory decision for warding off another crisis. CBI Governor Valiollah Seif and other pundits had in recent months pitched the idea of bank mergers as a possible solution to the structural problems plaguing Iran’s banking system such as credit crunch, rising bad debts and failing to adhere with international standards, Financial Tribune reported. Samen–al-Hojaj (not to be confused by Samen) was one of a myriad uncertified lending institutions to go bust in that period. CBI had mounted an intense campaign to crack down on the unruly institutions that had long undermined the financial stability of the country by engaging in price wars over interest rates and undertaking dicey ventures, including heavy investment in the real-estate bubble. The unlicensed banks and lending bodies, which started out as tiny cooperatives in the 1990s, snowballed into huge quasi-lenders and for once took hold of a quarter of the country’s liquidity. 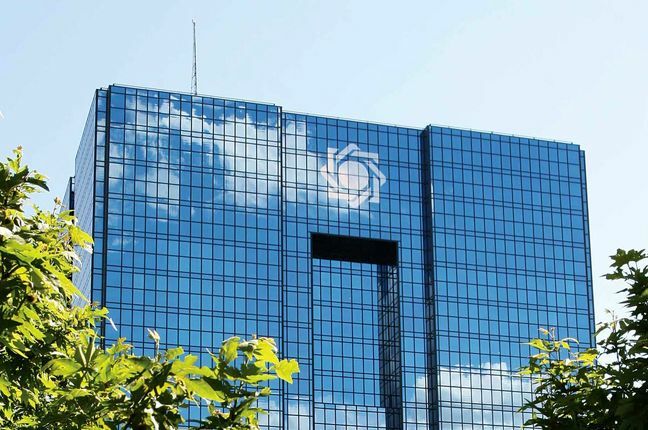 Another case of takeover involved the insolvent Mizan Credit Institution–a major shadow bank based in the holy city of Mashhad–by Bank Saderat. The private lender committed to reimburse depositors, customers and employees of the now-defunct company. Heydari announced on Monday that a credit line worth 200 trillion rials ($4.16 billion) backed by the properties of insolvent institutions has been allocated to bail out the depositors. “Of this amount, 185 trillion rials ($3.85 billion) have been paid to depositors,” the official was as quoted as saying by CBI’s website. Heydari also elaborated on the economic woes inflicted by shadow banks, including their destructive role in pushing up interest rates through competition with the formal banking system in attracting deposits. He added that managers of these companies had poor knowledge of banking and put people’s deposits at risk through their reckless investment practices that also affected other markets such as gold, housing and the foreign exchange. Heydari also expounded on the latest status of other smaller bankrupt shadow banks, saying that 98% of their depositors have been reimbursed. He also tried to dispel rumors about the worrying situation of the whole banking system, saying that the problems of shadow banks has nothing to do with legitimate lenders. “Currently, people’s resources held by the banking system is at its highest in the country’s banking system, which is a telltale sign that people have high trust in the banking system,” he said. In a report in February, Majlis Research Center, the parliamentary think tank, attributed the problem of shadow banks to a complicated chain of events going back to the past decades, many of which are linked to the unique socioeconomic features of Iran. At the top of its recommendations, the body advised the central bank to act as the financial market’s sole regulator and enhance it supervisory role. CBI Will Fully Tackle Shadow Banks by Sept.